Since that foggy day in London when William D. Boyce was lost in the fog and helped by an unknown boy scout the notion of doing a good turn daily has been at the heart of the Boy Scouts of America. Doing a Good Turn daily is more than simply a motto for scouts - it is a way of life. Each year scouts of all ages perform an amazing amount of community service. Considering Eagle projects alone during 2015 there were over 8.5 million service hours donated by to local communities nationwide. And that incredible amount of service time doesn't even begin to account for all the various service project Boy Scouts and Cub Scouts take upon themselves each year. BUILDING SERVANT LEADERS FOR OTHERS. 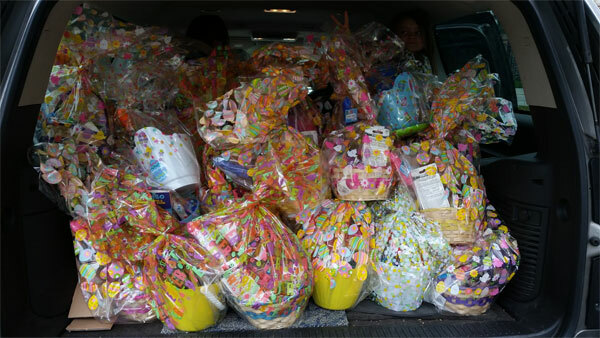 Troop 29 shared the excitement of Easter with the community by helping to build and donate over 50 Easter Baskets. Troop 29 is striving to build strong ties to the community by working together with selected groups who share our vision of leading youth into the community to put faces on the people of need. Our goal is targeted service with clear beneficiaries with whom the scouts can make connection. 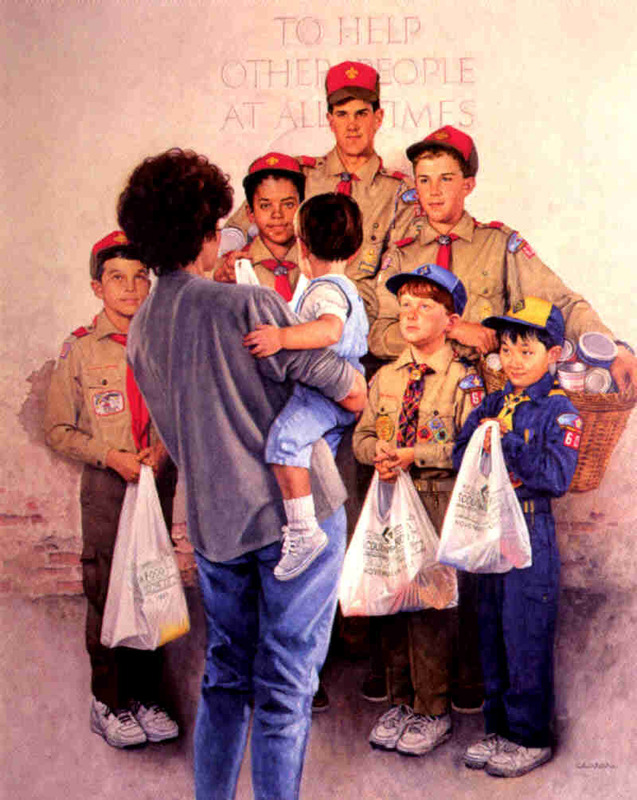 Troop 29 has begun their Scouting for Food Campaign. The campaign runs through March 14, 2016. All canned goods and non perishable items will be donated to Friendship House. Bill Perkins, Executive Director and Kim Eppehimer, Volunteer Coordinator, came and spoke to the boys, thanking them and explaining how this donation could help many.